Both of these articles are well written and really interesting so I’m not going to spend my time here repeating them, as you’re all perfectly capable of reading them for yourselves. Having said that, in order to give you a bit of context, I will just have to briefly summarise their main points. What Was Axel Springer’s Google Experiment? As a result, Axel Springer admitted defeat on 6th November 2014 and announced that they were bringing the two week experiment to an end, which in turn sent the SEO blogosphere off in another quandary about which platforms win the title of supplying the biggest sources of traffic. What Did It Prove About Traffic Sources? Very little in reality, but that didn’t stop everyone speculating! The notion at the bottom of these conclusions seems to be the general trend lately amongst SEOs to move away from the traditional sources of traffic (i.e. Google) and concentrate instead on so called ‘newer’ streams, such as Facebook, Twitter and Pinterest. Apparently, thanks to the recent success of sites such as Buzzfeed, who have proven that social media can be huge drivers of traffic to a website, there has been a shift of focus amongst SEOs from content made to inform towards content made for sharing. According to Digiday’s article (amongst others), however, Axel Springer’s frantic backpedaling clearly demonstrates that concentrating on social traffic streams over those of Google is not yet a safe option. Why Did They Need To Prove This? They didn’t and, quite frankly, I’m gobsmacked that quite so many people have quoted this experiment and its result as though it was a massive surprise. I know that SEO is an industry that is constantly evolving on a mixed fuel of rumour and conspiracy, but any SEO who has used Buzzfeed’s success as a reason to concentrate all their efforts on Facebook over Google needs their head examining. Now I’m quite lucky because I can actually manage to get through a day without having to read something about Kim Kardashian but, for the billions of people afflicted with this debilitating disease, Buzzfeed offers the ultimate 5 minute fix that can be shoehorned into every lunch break and, as such, their content is shared almost virally each day on Facebook and other social medium platforms. Thus, Buzzfeed are obviously going to excel at channeling more traffic from Facebook; their content is naturally tailored towards this. For the majority of other businesses however, their content is usually about their specific industry and written to educate and inform their customers; it’s generally not the type of content that is going to cause a viral storm. The way the search engine algorithms have evolved additionally means that they give preference to sites with content that answers potential customers’ questions and so, as the vast majority of traffic for small to medium businesses still comes from search engine rankings, we SEO Copywriters are going to do our clients a better service by writing copy that pleases the search engines, rather than Facebook. Of course, the Holy Grail of all content marketing is finding that specific niche for your client that can both deliver the crucial information whilst at the same time packaging it in such a way that it becomes a viral sensation. If you can find this balance then you’ve hit the jackpot, but it is often very difficult to achieve and can sometimes require a tenuous link or a leap of faith. 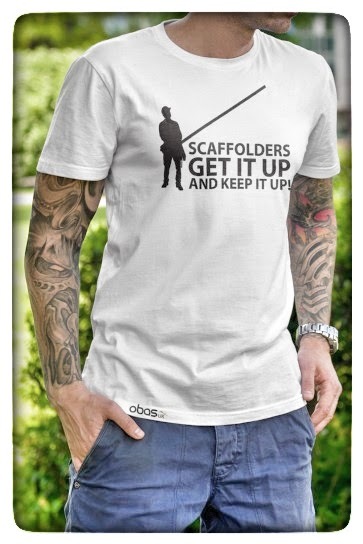 Just as a quick example, one such company whose Marketing Department have cleverly gone for the ‘funny but informative’ approach is Obas; their new range of t-shirts for tradesmen includes slogans such as ‘Plasterers do it against the wall’ and ‘Plumbers have big tools’. Silly I know, but they are now the company’s bestselling category of work wear, have increased traffic to their new website and have also been shared quite widely on social media, particularly Facebook. Obviously, just because something’s difficult, it doesn’t mean that you shouldn’t do it; quite the opposite in fact. Regardless of the rumours on the blogosphere about this new traffic source and that declining traffic source, the goal of all SEO Copywriting is to maximise the traffic from all sources; ignoring one source or favouring one over another may be OK to try for the odd piece of content here and there but making it the mainstay of your overall campaign is just a sure fire way to secure failure. Of course trends will continue to come and go and the best way to combat these fluctuations is to do thorough research on your customer base before you even start to write anything. Once you know who you’re writing for, ensure that your Content Marketing Plan incorporates content tailored to all relevant platforms (i.e. shareable content for Facebook, informative content for your blog etc.) and also that every individual piece of content created appeals to as wide an audience as possible. If you do this, then it won’t matter whether Facebook drives more traffic than Google News or visa versa, because you’ll already be covered for every eventuality. If you’re in need of an experienced SEO Copywriter to help you increase the traffic to your website then please get in touch with us; GrowTraffic have many years experience of helping companies grow their online presence the right way. You can contact us via the details on the Contact Page, by phoning Rachel on 07455 138803, by emailing rw@growtraffic.co.uk or by leaving us a comment below. » Facebook Still Beaten In The Traffic Stakes!